Will You Be Safe Without Bear Mace? NOTE: This information is provided as general advice only and all local laws should be consulted for using these devices. Protecting yourself from bears can be a difficult task. Bear Mace is a proven way to defend yourself from these huge animals that are difficult to fend off. Some rangers now give these bear pepper sprays out to people as they enter national and state park to provide the protection needed when dealing with bears. In most cases a bear will leave the area when they find out that a human is around, but there are many instances that people are attacked by bears all over the United States for different reasons. If a bear begins to attack, spray bear mace or another bear pepper spray in the bears face until it stops the assult. If you do spray a bear, get away as soon as possible and find a safe area. All state in the US at the time of this writing allow the use of bear mace and other bear pepper sprays for self defense against bears. Using a standard pepper spray may work, but the formula in pepper sprays for bears is specialy formulated to work on a bear. Most bear pepper sprays are a large size to provide plenty of sprays to get away. While we may not agree with making laws related to bear spray, this statement does show how effective bear spray is against bears. It is always a good idea to make sure that the spray you choose is registered with the EPA for use against bears. There is a special formula for this and ordinary pepper spray is not recommended. Do NOT keep the spray in backpacks or other hard to access places where they will take time to get out. Bear spray should be readily available and kept by your side attached to your belt. Use the spray in short bursts and not all at one time. If there is wind or even a breeze, remember the spray will be carried by air currents. You may need to adjust your aim to hit your target. Do not attempt to spray a bear if it is not aggressive. Spraying a bear that is not attacking could aggrivate it and cause an attack. Check the expiratin date on your bear spray regularly. If the bear mace is expired be sure to replace it. Guard Alaska ultra hot pepper spray has proven so effective repelling bears, it is the only one registered with the EPA as a repellent for ALL SPECIES of bear! It is absolutely the most effective and powerful bear defense spray available today. Guard Alaska is environmentally safe! Does not contain flammable or ozone depleting substances. The formula is scientifically proven superior, and endorsed by the Alaska Science & Technology Foundation. The range for this spray is Approximately 15-20 feet. This should be your first choice when shopping for a bear pepper spray. 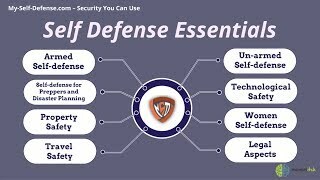 Self defense spray to keep you safe and get away! Eliminate The Danger Using Red Pepper Self Defense Spray!